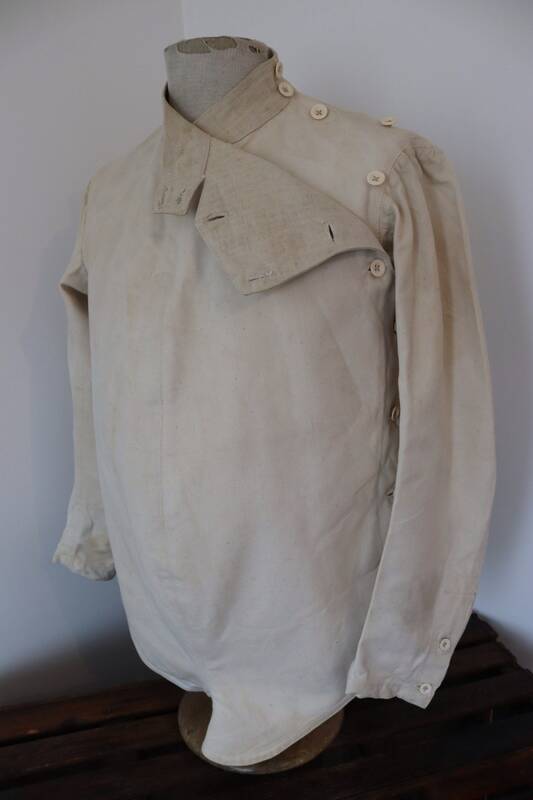 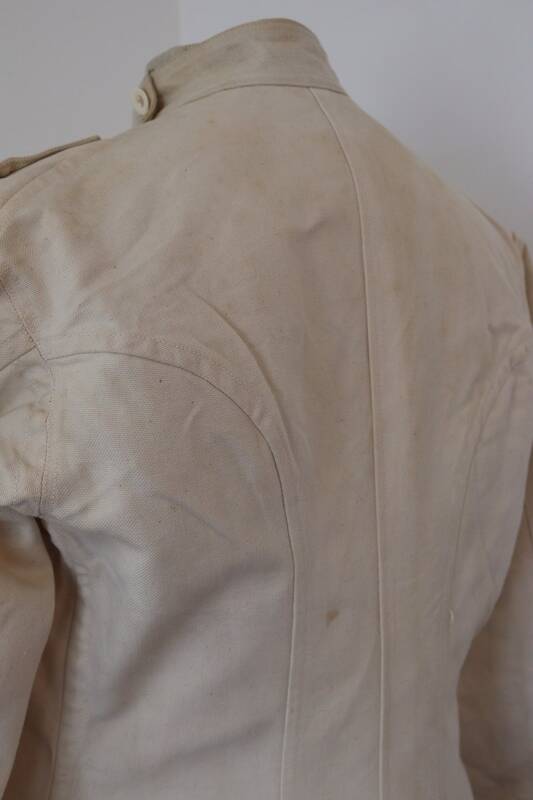 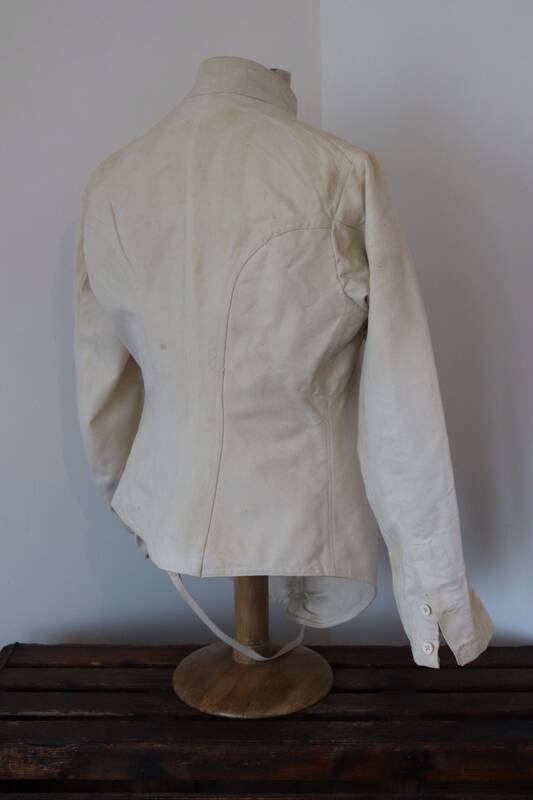 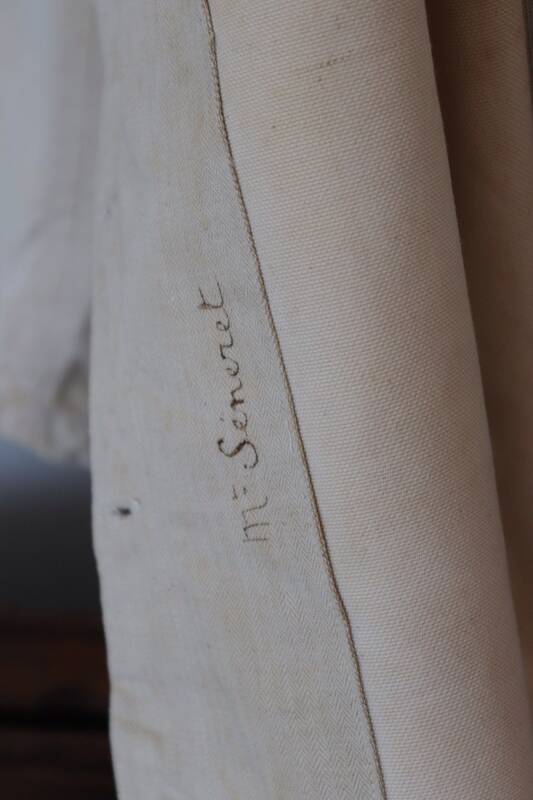 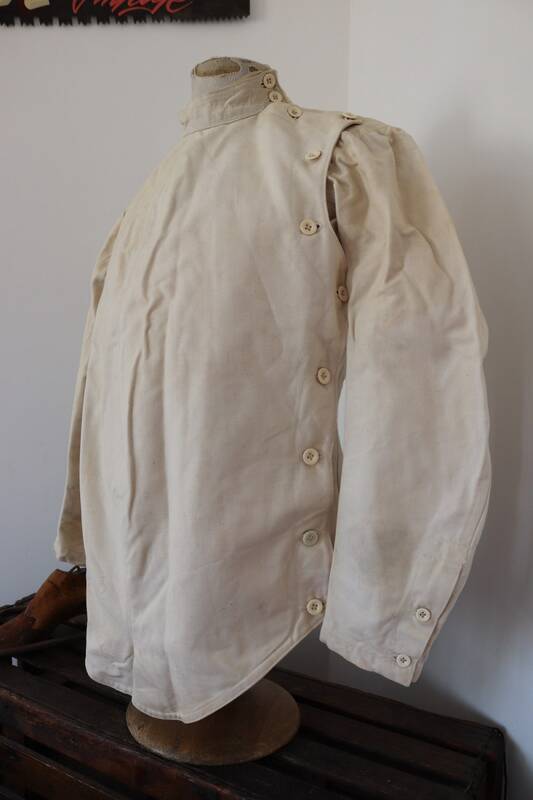 A structured white linen and cotton fencing jacket dating from the early 20th century. 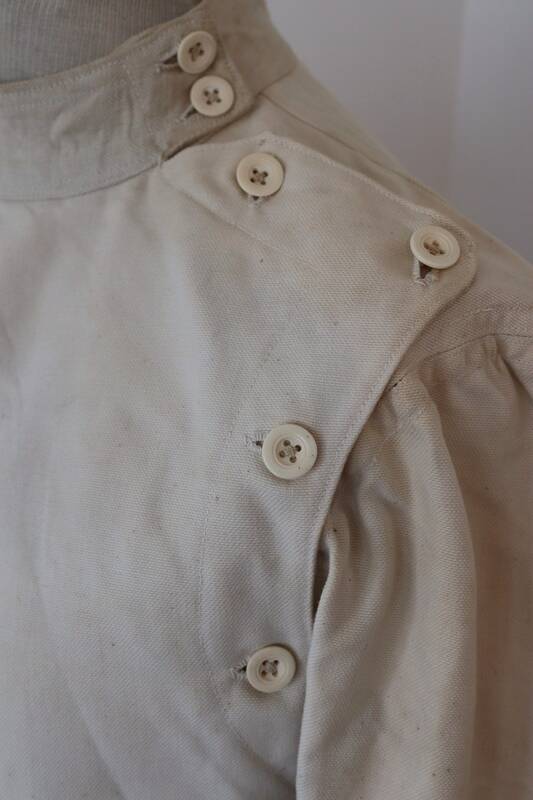 Noted flaws - one replaced button (second up from the bottom), some fixing and minor marking from use throughout - please see photos. 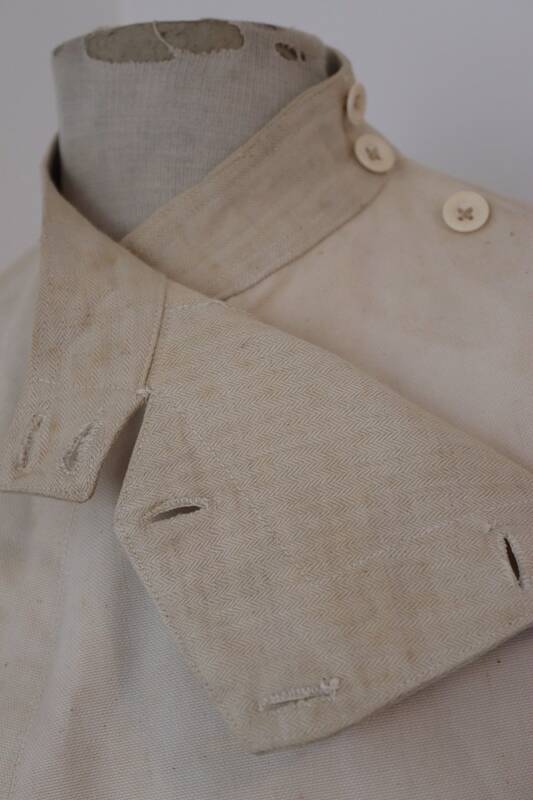 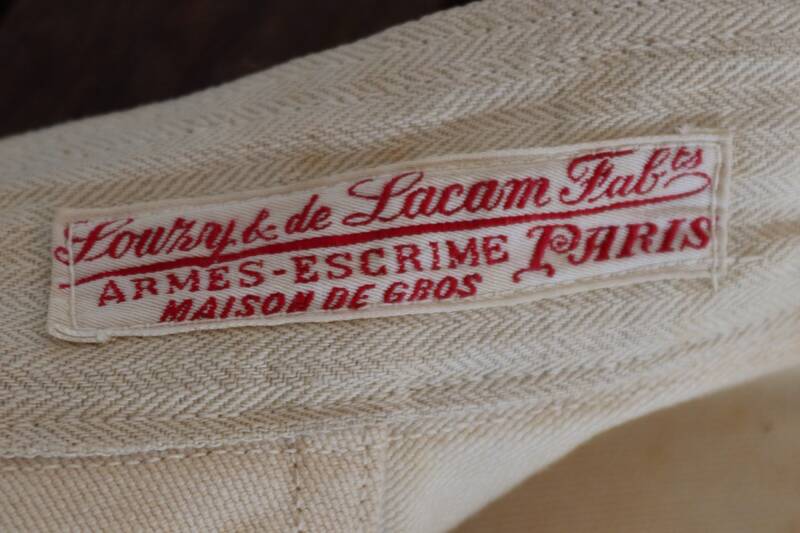 Herringbone collar and placket lining, one arm is slightly padded as per original use, button up cuffs, stand up collar, through-leg fastening, beautifully made and excellent quality, no holes, handwritten name inside, made in Paris. 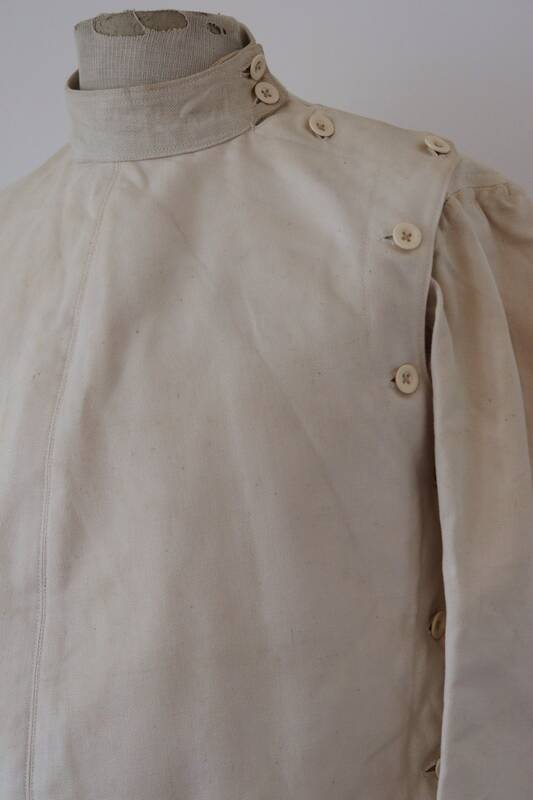 At around 100 years old, this is a beautiful piece for wearing, design research or display.